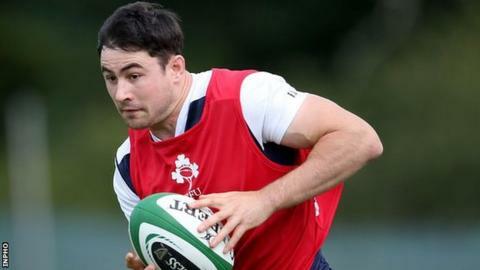 Munster and Ireland full-back Felix Jones has been forced to retire from rugby at the age of 28 "on medical grounds" after suffering a neck injury. Jones sustained the injury in Munster's recent Pro12 win over Glasgow Warriors and has been out of action for a number of weeks. "It is still unthinkable to believe I will never play another game of rugby," said the 13-times capped international. "I have always had one driving purpose in life and that was to play rugby." He continued: "I'm grateful I could do that in Munster. That feeling of walking out the tunnel in front of a packed Thomond Park is something I will never forget. "To accept I will not play with my team-mates again is beyond upsetting." In six years at Munster Jones made 90 appearances, scoring 10 tries, and was a member of Ireland's Six Nations winning squad this year. "I'm lucky to have played with so many great players, but rugby has given me something better and that is the people who are now life-long friends," he continued. "I thank all the coaches I have been lucky enough to learn from and I look forward to seeing the development of our squad over the coming seasons."